Wylie Way Outfitters is a standardized dress code clothes closet that serves Wylie ISD grades 5th-12th. 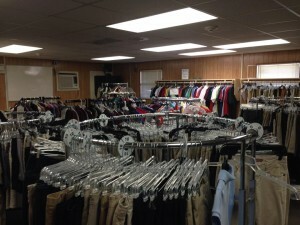 Students are referred to the clothes closet by an administrator, counselor, or teac her. They can come to Wylie Way Outfitters to choose Polo shirts and pants/shorts that meet the district’s dress code guidelines. We are located at 300 Pirate Drive, Wylie. Our portable is the last building on the right looking from the Wylie ISD Facilities and Maintenance parking lot. If your family is in need of this service (or if you know of a family who would benefit from WWO), please speak with a teacher, administrator, or counselor at your local campus to obtain the authorization form. We want to serve our community. DONATIONS: Donations to Wylie Way Outfitters may be taken to any grade 5-12 campus office and placed in the WWO donation bin. Visit the WWO website throughout the school year for updates on additional hours of operation during weekdays and evenings. If you have any questions please email CommunityOutreach@ptawyliecouncil.com.